Don’t you sometimes feel that preparing for a wedding has become a “competition”? In the aim to have the best and get the best, together with all the external pressures brides get to have THE perfect wedding – from Pinterest perfect weddings to heck, even wedding blogs (guilty!) – wedding preparation has become an immense job of prepping up and competing with other brides to be the first to book the creme de la creme of wedding suppliers, and be the first to get the top wedding venues known. Such are the costs of aiming for that “perfect” day. So while others reel over weddding details, the practical bride will do away with all the unneccesary drama and stick to what she thinks are just the “essentials.” Afterall, the most important details of that “perfect” day cannot be found in your perfectly printed invites, or in that to-die-for reception decor. What matters most is that you and your partner-for-life are over-the-moon happy and you are surrounded by your loved ones and friends. 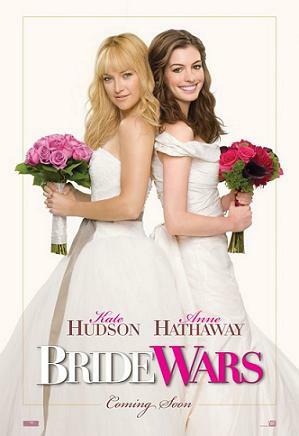 Today’s movie inspiration, Bride Wars, will remind us that relationships are more important than material things and that even the simplest celebration can turn out to be elegant. 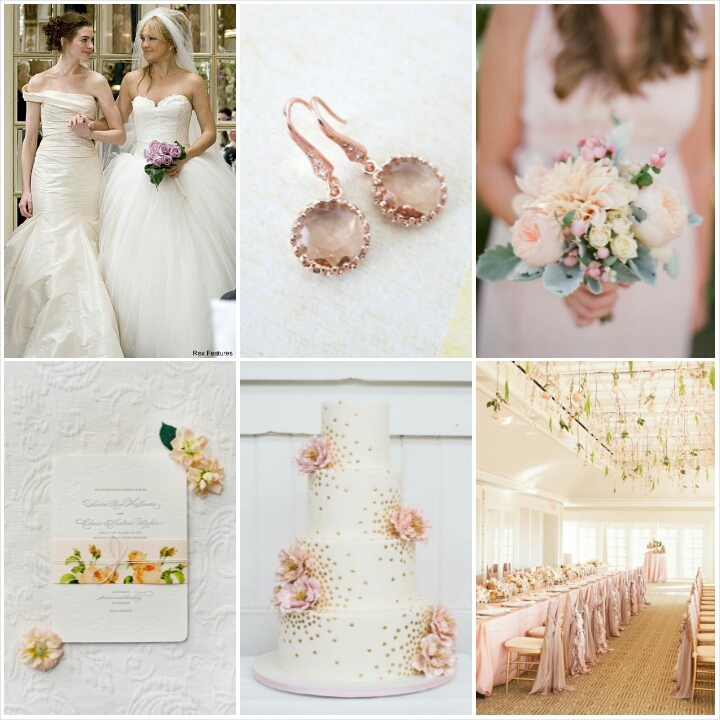 To achieve this look, go for simple highlights in the shades of soft pinks and blush. Have a simple bridal bouquet, like this small pretty bundle of dahlia and roses. Minimal details for your invites will tell the guests that the wedding will be an intimate celebration and this kind of low-key reception decor does not have to mean lacking and understated (even if you skip the hanging decorations, I think it would still turn out fine), rather should evoke a modern and elegant vibe.